UPDATE 26th September: Samsung Galaxy P30 (SM-66200) Certified in China? We had reported earlier that a Samsung smartphone with the model number SM-G6200 and dubbed Galaxy P30, will be the first smartphone from Samsung. Now, the same model number has been spotted on the Chinese certifications website. However, the listing doesn’t reveal anything concrete, except that the launch date might be closer than we thought. In today’s update, ​​​​Twitter user @MMDDJL_ clarified that the new Galaxy P30 is likely to come with a high-end spec sheet and an affordable price tag. Another recent report revealed that the Galaxy P30 will be offered in two storage variants – 64GB and 128GB. Both models are speculated to sport 6 gigs of RAM. There are rumours that the P30 will be accompanied by a beefed-up variant – the P30+, and the duo will be exclusive to Asian markets. The smartphones are speculated to launch in China before the end of this year. Original Article: Samsung Galaxy P30 to Pack In-display fingerprint Scanner? Samsung was expected to introduce the optical scanner with its next-gen Galaxy S-series smartphone in 2019. However, a new report hints otherwise. According to a famous leakster @MMDDJ_, Samsung is working on an in-display fingerprint sensor smartphone in China, which could launch as early as next month in the Samsung Galaxy P30 moniker. Well, let use this page and see how many fake and true stories we’ll be able to gather before the Samsung Galaxy P30 eventually launch. At this point, Information concerning the specifications and features of the Samsung Galaxy P30 series are still very scanty. But so far, this is what we’ve got. That the Samsung Galaxy P30 will come in two configuration. The standard Galaxy P30 will pack 64GB internal storage, while the higher Samsung Galaxy P30 Plus will host 128GB internal storage. 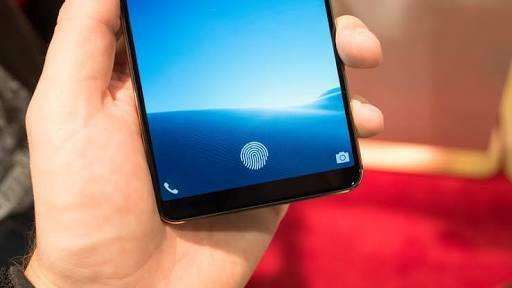 It is also believed that the Samsung Galaxy P30 series is expected to be Samsung’s first smartphone to offer onscreen fingerprint scanner. Finally, rumor has it that the Galaxy P30 series will come with LCD display, instead of AMOLED. Wanna know more? Just stay tuned!